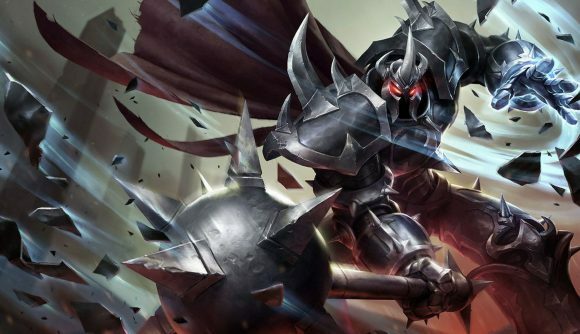 League of Legends’ Mordekaiser is finally geting a long-awaited rework. In a video posted earlier today, lead producer Ryan ‘Reav3’ Mireles confirmed that the Master of Metal is high up on Riot’s list of champions in line for a complete visual and gameplay update (VGU). The idea is to maintain the champion’s core concept – that of an AP juggernaut – but to transform Mordekaiser from a duo laner to a solo lane monster. That essentially means you can bid farewell to the passive on his W, Harvester of Sorrow, which grants bonus AP for killing minions near allied champions. Riot’s video shows him off in the top rather than bottom lane, suggesting that’s intended to be his new home. Mordekaiser’s passive and E are both likely to change as well, as Reav3 suggests that a shield might not be the best fit for the new-look champion. The video, which you can check out below, also touches on League of Legends’ “whimsical” new support, and the Kayle and Morgana reworks, but sadly doesn’t offer much information on the time-frames for any of these changes. Personally, I’ll be a little sad to see Mordekaiser change. As ineffective as he is, I don’t imagine Riot will be planning to keep his dragon-stealing ultimate ability intact.